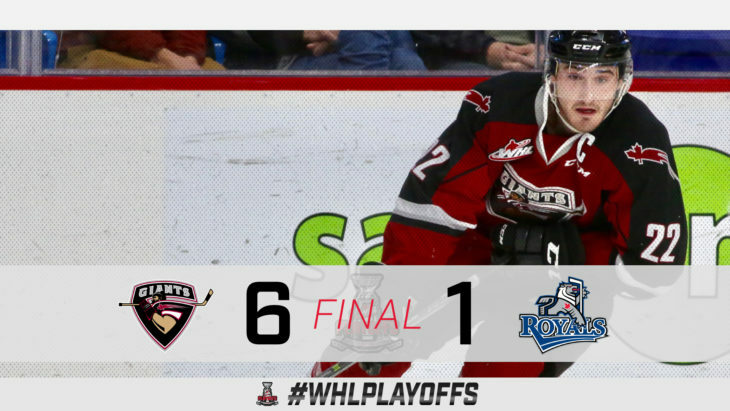 The Vancouver Giants are off to the Western Conference Championship for the first time since 2010 following a 5-1 win against the Victoria Royals Thursday to sweep their second round series. Vancouver took charge early in the game as Lukas Svejkovsky, 2019 NHL Draft prospect Bowen Byram, and Dallas Hines found the back of the net in the first. 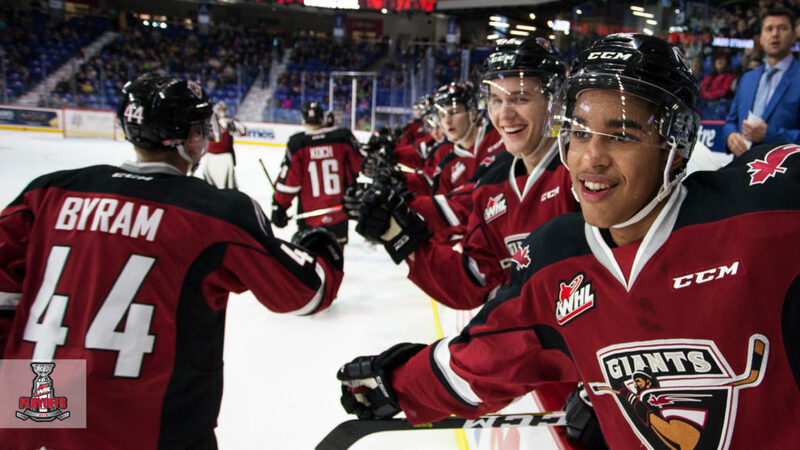 Owen Hardy and D-Jay Jerome traded goals in the second period. Brayden Watts and captain Jared Dmytriw added goals in the third. David Tendeck (Arizona Coyotes) stopped 17 of 18 shots.